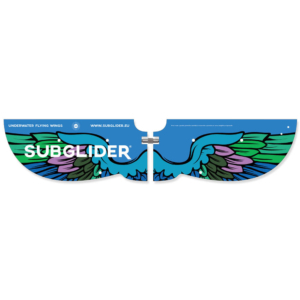 The customized Subglider allows you to create your own design for your Subglider. 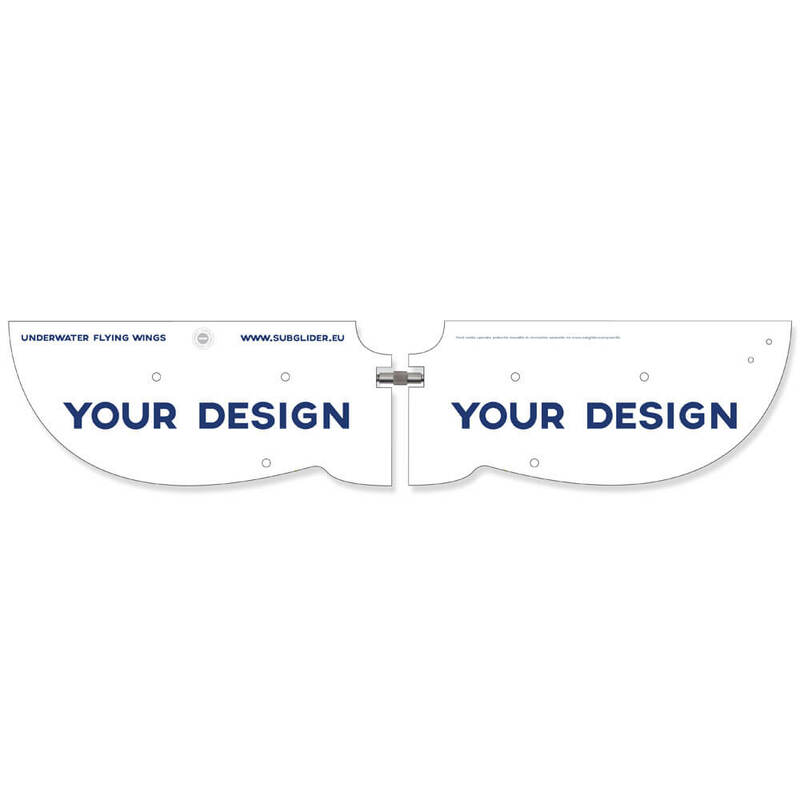 After you add it to your order, we will send you template files (PDF, CDR, AI, INDD) that can be used to create your own design. Delivery time for the customized design is 4 to 5 weeks. THE SET CONTAINS: Subglider wings, connecting element made of stainless steel, 30 m rope, instructions and security warnings. 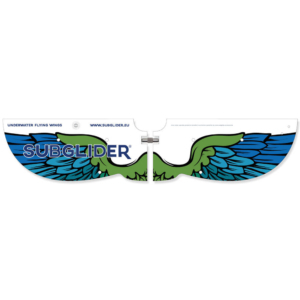 It contains all the components required for the use of the Subglider. The set does not include an underwater camera.